The East Coast is bracing for another blast of winter, with a major winter storm poised to strike areas still buried under last weekend’s snowfall. The latest storm is expected to drop up to a foot of snow from Virginia to New England and as far west as Iowa, with even higher totals likely between Philadelphia and Connecticut. 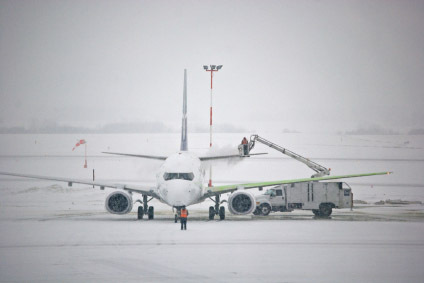 Airlines have announced contingencies, which include change-fee waivers and the outright cancellation of flights. Southwest, for example, has cancelled all flights to and from Baltimore tomorrow, as well as numerous flights from Chicago, Cleveland, New York City, and Washington, D.C.
Will this storm impact your travel plans? What are you doing about it?